July, 2005 – SSOE, Inc., a recognized industry leader in providing architectural, engineering and management services to a global client-base has fully implemented a Supplier Diversity Program. SSOE has always been an advocate of facilitating and embracing supplier diversity in our business practices. “For the past 12-months we have been working on preparing a formalized program to implement across the corporation,” stated Donna Harris. 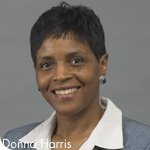 Donna a 17-year veteran of SSOE serves as the Champion of the Supplier Diversity Program.